Trespass is commonly understood as entering upon the property of someone else without their invitation or authorization to do so. In Florida, statute section 810.09 allows property owners or authorized representatives to remove anyone they wish from the premises for any reason. This law is often times enforced within public establishments and has raised a concern of legalized discrimination. Under certain circumstances in Florida the charge can even be enhanced to a third degree felony with elevated penalties. There are several viable defenses to a charge of trespass and it is important to consult with an experienced criminal defense attorney in the event you are arrested for trespassing. If you or a loved have been arrested for trespassing, call Blick Law Firm today and schedule a free 15-minute consultation with attorney Michael Blickensderfer. 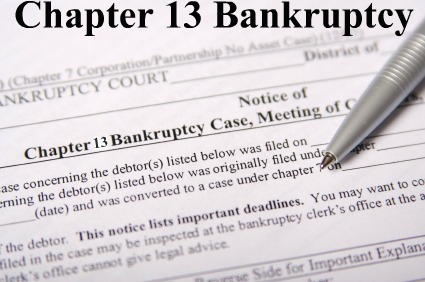 Chapter 7 Bankruptcy is a complex area of law and involves many considerations, including whether to file, determining which type of Bankruptcy to file, the use of exemptions, understanding the protections of the Bankruptcy Code and using them to your advantage. When considering Bankruptcy, a Chapter 7 filing is a useful way to discharge of most debt and can relieve the burden of creditor collection attempts. Chapter 7 Bankruptcyis generally available when the debtor has little property aside from the basic necessities like furniture and clothing; and the debtor has difficulty making payments on basic expenses, or has very little money left after doing so. In Florida, persons under the age of 18 are considered minors and tried as juveniles for crimes they commit rather than as adults. The distinction in Florida, as in all states, is made to separate offenses perpetrated by those under a certain age determined as the age of majority. In certain cases, the court will still sentence a juvenile as an adult depending on the severity of the crime committed. In contrast to the objective to punish adults for their crimes, the state seeks to rehabilitate juveniles and prevent future misconduct. With the focus of juvenile justice set on rehabilitation, the courts seek to assist minors in functioning properly in a normal adult society. However, many juveniles face strict sentences for their crimes, and often times detainment of the juvenile can last for extended periods. 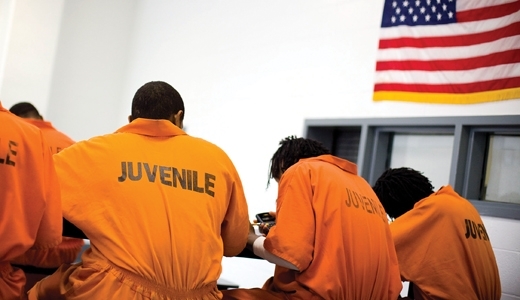 Many people expect juveniles to receive a slap on the wrist for their offenses, but courts often times attempt to deliver a strong message to youths in order to enforce a positive awareness of the consequences of their decisions. If your minor child has been arrested for a crime and you have questions or concerns about their rights, call Blick Law Firm today at (813) 931-0840. Schedule a free 15-minute consultation with attorney Michael Blickensderfer. If you have made a capital gain from the sale of your main home, you may be eligible to exclude all or part of the gain from your income. The Internal Revenue Service issued a pamphlet, Publication 523, Selling Your Home, which provides directions, rules, and requirements for filing capital gains when selling your home. The pamphlet gives thorough instructions on how to determine whether or not you qualify for the exclusion. The home sold is considered your main home – “main home” is defined in the pamphlet as the home you lived in the majority of the year whether it is a house, condo, cooperative apartment, mobile home, or houseboat. Additionally, you are allowed to exclude up to $250,000 of the gain on the sale of your main home if you file as an individual; or up to $500,000 if filed jointly. Generally, the income exclusion is allowed if these requirements are met unless: you have excluded the gain from a prior home within two years prior of the current sale; you only sold the land on which your main home is located, but not the house itself, or; you sold the remainder interest in your home to a related person. If you or a loved has legal concerns regarding the sale of your home call Blick Law Firm today at (813) 931-0840. Schedule a free 15-minute consultation with attorney Michael Blickensderfer. Think quick, call Blick. For more information regarding the IRS Publication 523 visit: www.irs.gov/pub523. Everyday Florida drivers get behind the wheel unaware that their diving privilege has been suspended, cancelled, or revoked. Law enforcement officers make daily arrests for driving with a suspended license which can lead to complications when trying to reinstate your driving privilege. Driving without knowledge of the suspension generally leads to the issuance of a non-criminal citation. However, it is important to know that payment of the non-criminal citation operates as an acknowledgment of guilt and points may be assessed against your license because it is considered a moving violation. It is important to know that multiple infractions of Driving with a Suspended License can lead to very serious consequences, and drivers with repeated violations can become listed as Habitual Traffic Offenders.